We get this question a lot and we hear you; we understand that price is very important when making the right decision for you and your home. We also understand that every home is unique causing price to vary. Because of these factors, we offer a no-cost, no-obligation estimate on every home. This estimate includes more than just the pricing for your LeafGuard® gutter system but we care about you as our customer and your home. 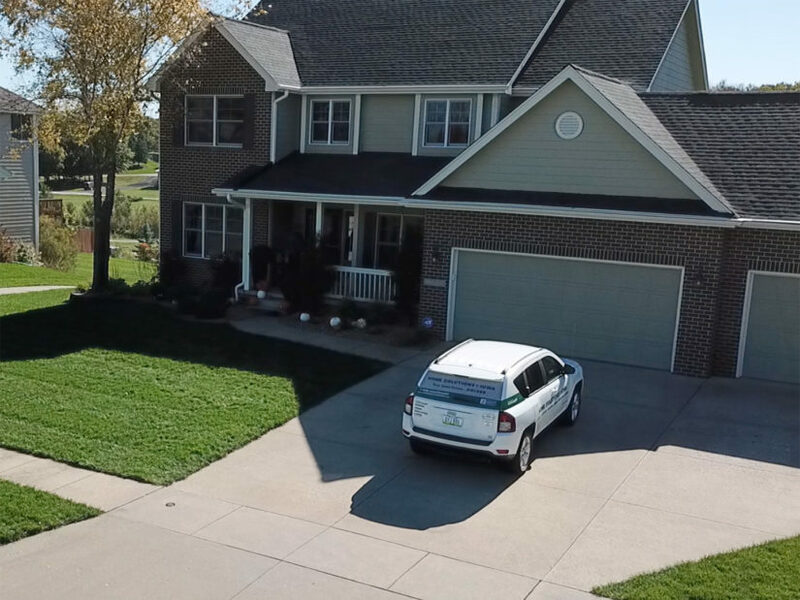 We take the time to do a full inspection of your home’s exterior to make sure there are no other underlying issues that need to be addressed in order for your LeafGuard® gutter system to work efficiently and to provide the most accurate cost estimate. 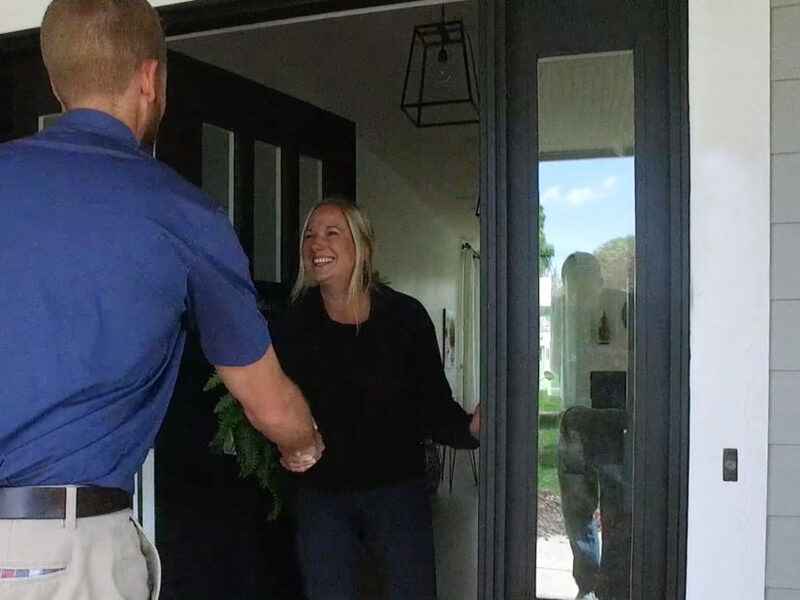 Our home solution experts make a special trip out to your home for your free estimate. Often others claim to install LeafGuard® but in fact, leaf guards and gutter guards ARE NOT the same. Rest assured LeafGuard® Brand by Englert is the original and only one-piece gutter system, with a built-in hood that covers the gutter bottom and deflects leaves and other debris. What sets Home Solutions of Iowa and LeafGuard® Brand Gutters apart from the competition is our award-winning products, outstanding warranties, commitment to our customers and financing options. Home Solutions of Iowa is the only LeafGuard® dealer in the state of Iowa. HSI offers top of the line warranties: Lifetime Workmanship Guarantee, Lifetime No-Clog Guarantee, and ScratchGuard® paint finish, a Limited Lifetime Warranty guaranteed not to chip, peel or crack. We arrive at your home in clearly marked vehicles. LeafGuard® is the only gutter cover system that can claim to have a patented, one-piece, seamless gutter system. Its built-in hood allows water to flow freely while eliminating clogs by deflecting debris such as leaves, pine needles and small branches from nearby trees. We are so confident in our rain gutters that we offer a “No-Clog Guarantee” for as long as you own your home. If your gutters ever clog, we will clean them for FREE! The LeafGuard® gutter install was totally painless! The crew was professional and personable. The old gutters were taken down and new up in no time and all the mess cleaned up. Love it! - Willie S.
This is the second time we have used Home Solutions of Iowa and their professionalism and quality of work was great. - Robert A.